WASHINGTON, DC —The American Hellenic Institute (AHI) is releasing ten essays authored by participants of the tenth Annual American Hellenic Institute Foundation College Student Foreign Policy Trip to Greece and Cyprus. The students’ insightful essays describe their personal experiences from the trip to Greece and Cyprus held June 19 to July 6, 2018. During the two-week program, the students were in Cyprus, June 23 to 28 and Athens, June 28 to July 6. Prior to departing for overseas, the students spent two days in Washington, DC, June 19 and 22. They received firsthand experience about the foreign policy issues affecting Greece and Cyprus, their relations with the U.S., and the interests of the U.S. in the region. Crete always played an extremely influential role in my life. I began my journey into Cretan culture at the age of five when I started learning traditional Cretan dances with the Pancretan Youth Association of America. As I got older, I was not only a member of the dance troupe but also the president of the organization’s Chicago chapter. I am proud of my Cretan heritage and am always willing to learn more about my roots. Although I have traveled to Crete multiple times before, I never knew about the military powerhouse located right in my backyard. Going to the Souda Bay military base while on my trip with the American Hellenic Institute Foundation (AHIF) helped shed light on what the base has to offer and how Souda Bay’s unique geographic position in the Eastern Mediterranean is of value to U.S. and NATO military forces. Upon arrival, our group was briefed on a range of day-to-day activities, from soldier training to the testing of missiles at the NATO Missile Firing Instillation (NAMFI). At NAMFI, we visited the viewing center for weapons launches. Sitting in the chairs that face the long stretch of territory and bright blue ocean felt surreal. Because the area has a vast amount of uninhabited and dry land, the facility is able to test powerful weapons without causing harm to others. In addition to visiting NAMFI, the group also rode around Souda Bay in a military boat. Souda Bay is an ideal repair and supply location for allies of Greece because of its convenient location in the Mediterranean and consistent partnership with NATO. As we zipped through the bay in a speed boat used for training and military activities, I was pleasantly surprised by the sophistication and efficiency of the base. One thing I took notice of was the relative isolation around the facility as a result of the protective security measures for the area. Although Souda Bay entails a large land mass, the military’s attention to detail has guaranteed the safety of the naval base and those in it. We ended our trip by visiting the facility which holds the planes and the nearby ground defense protection systems. The facility is manned at all times, prepared for any surprise or immediate conflict. Despite the size of Crete in comparison to that of the U.S., NSA Souda Bay has a multitude of assets at its disposal. From its geostrategic location to its professionalism and prowess, Souda Bay is a projection of stability in an area of instability. It is the strength of facilities such as Souda Bay that ensures a prosperous and stable Europe. The ethnic cleansing of Turkish-occupied Cyprus is not merely a political quagmire that has haunted the Eastern Mediterranean for forty-five years, but a humanitarian issue as well. Turkey’s illegal invasion of Cyprus in 1974 removed 160,000 Greek Cypriots from their original homes. While hundreds of thousands of people were displaced during the Turkish invasion of Cyprus, what is often overlooked is the 1,510 Greek Cypriots and 492 Turkish Cypriots that disappeared during the conflict. Some victims were taken from their homes; others were executed during military operations. Bodies were dumped in wells, shallow pits, and mass graves on the island. Additionally, the 338 Greek Cypriots and 105 Maronites still living in the occupied area are often disregarded. This should be viewed as a global humanitarian crisis precipitated by Turkey. Unfortunately, the Turkish government has mischaracterized the situation for its own political benefit. The Committee for Missing Persons began to address the issue of missing persons in Cyprus in 2005. Through the American Hellenic Institute Foundation Foreign Policy Trip to Greece and Cyprus, I was able to meet with the Presidential Commissioner Mr. Fotis Fotiou and the Director of Service for Missing Persons Mr. Xenophon Kallis. According to Mr. Fotiou and Mr. Kallis, the European Union funds this committee with $2.5 million each year, but one obstacle remains in the way of the missing people finally being found—Turkey. The Turkish government’s failure to find and identify missing persons disregards its legal obligation to the Treaty of Geneva. They even committed atrocities in 1974. The Turkish government has the information on how the missing were killed and where their bodies remain but refuses to disclose it. Of the 492 Turkish-Cypriots missing, 225 have been identified. However, Turkey uses the fact that there are remaining unidentified Turkish Cypriots as an excuse to continue its illegal occupation of Cyprus. As both Greek-Cypriots and Turkish-Cypriots are still counted as missing, an ability to reach some sort of reconciliation is made much more difficult. Currently, 846 Greek Cypriots and 266 Turkish Cypriots are unaccounted for. Of those found, many only have parts of their bodies discovered. The missing are innocent civilians who have been permanently separated from their homes, leaving their families without any sense of closure. Fifteen of those missing are children and four are United States citizens. The United States not only has a moral obligation to pressure Turkey, but a direct political, social, and legal obligation as well. The families of the missing should be informed about the fate of their loved ones. Justice and truth should prevail. The issue of missing civilians is just one in a litany of Turkish-induced tragedies and travesties on the island. In the occupied territory of Cyprus, there are still 338 Greek Cypriots. These individuals have no right to vote or run in elections. Additionally, Turkish officials have prevented Greek Cypriot teachers from teaching at the Rizokarpaso Primary School, which for many years has been the only Greek Cypriot school in occupied Cyprus. Moreover, Turkish officials have also undermined the school by failing to provide it with adequate funding or supplies. Furthermore, the Greek Cypriots who were removed from their homes due to the Turkish invasion still have no access to their property. While the European Commission of Human Rights has ruled that refugees have the right to return to their former properties with the court case Loizidou v. Turkey, Turkey refuses to comply with this ruling. These properties, many of which are either destroyed or used by illegal settlers, are inaccessible to their rightful owners as Turkey has 40,000 troops in Cyprus. Ultimately, the Cyprus issue is not only a political one, but a tragedy with deep moral and humanitarian implications. However, a solution cannot come to the fore with 40,000 Turkish troops remaining in Cyprus. July 20, 1974 should be a day of remembrance; one that motivates Hellenes and Philhellenes across the world to resolve this catastrophe. Floriana Boardman, a sophomore at Fordham University, is majoring in Political Science with a double minor in Orthodox Christian Studies and Middle Eastern Studies. She is a recipient of the Fordham University Loyola Scholarship. At Fordham, Flora is involved with the school newspaper, the Campus Activities Board, The Hellenic Society, UNICEF and Orthodox Christian Fellowship. Floriana spent 2016 working with IOCC as a youth representative, and spent the summer of 2017 studying abroad in Athens through AHEPA Journey to Greece. Floriana participated in the tenth annual AHIF Foreign Policy College Student Trip to Greece and Cyprus sponsored by the American Hellenic Institute Foundation. Why it is time to change how Greece views the world and itself. For many years growing up I have heard Greece be discounted as a key ally of NATO and the United States, because “Greece is too small.” How can such a small country have a big impact? Yet, if one looks throughout history, Greece’s impact always has been massive and military facilities such as NSA Souda Bay demonstrate this point. Greece is the stable democracy that sits at the crossroads of two of the most volatile regions, the Balkans and the Middle East. My opportunity to visit the bases of Souda Bay and Salamis proved to me that Greece has a significant role to play in NATO and the future stability of the region. After leaving the meetings with Greece’s Ministry of Foreign Affairs, I finally began to see Greek government officials view the country’s importance and begin to remove the old burdens that plagued the country’s foreign policy and economic development. Seisachtheia translated into English means a removal of burdens. More than 2,500 years ago Solon unburdened Athens. Now, it is time for Greece to do the same and remove the burdens of the economic depression and build a foreign policy oriented toward internal economic development and European integration. While the problems Greece faces are large, it can overcome them. Beginning with the Prespa Agreement, and ongoing talks with Albania, Greece can once again become the anchor of the Balkans that pulls the entire region away from past nationalist tensions and irredentism. In the Former Yugoslav Republic of Macedonia, Greece has quelled a more than 25-year-long dispute, offering Greece the chance to change its northern neighbor from becoming a national security threat to an asset. As FYROM integrates into NATO and EU frameworks the country will develop stronger institutions of property rights, transparent governance, and structured labor markets, laying the groundwork for increased Greek investment and trade, and allowing for Greece to jointly reap the benefits along with their neighbor. Moreover, Greece and Albania can settle their differences and address the protection of Greek minorities and integrate Albania, which is riddled with corruption, into Europe. For a long time, Greece’s foreign policy was a collection of actions which often differed with every government that took power and lacked continuity. However, for the first time in a long time, we see the chance for Greece to do just that. In addition to anchoring the Balkans toward Greece, and by extension Europe, Greece continues to develop meaningful relationships with its Middle Eastern neighbors, such as Israel and Egypt. By doing so, Greece can finally open alliances in the Middle East and increase cooperation by using its presence in the Mediterranean to insure security through its naval facilities at Souda Bay, giving its allies like the United States the ability to conduct operations in the Mediterranean. Now the question remains how to turn these diplomatic changes into real economic value? This is the core challenge facing Greece because Greece has failed historically to turn its diplomatic relationships into economic ones. Most of this change must come from within. The Greeks must begin by making themselves more attractive to foreign capital, and this comes by implement reforms. For example, making corporate tax rate more transparent and progressive enough to produce increased revenues while at the same time to not prohibit investment. Furthermore, Greek reforms within the bureaucracy must take place, which means instituting reforms that streamline processes more efficiently and allow regulatory hurdles to be solved in a timely manner. Secondly, Greece must utilize and further develop its human capital by incentivizing people to stay in Greece. At the same time, Greece must attract human capital from around the entire Balkan region. This can be accomplished by investing further in research and development. Although current R&D expenditures in Greece are some of the lowest in the OECD (around 1% of GDP), if Greece can orient policy and fiscal resources toward doubling or tripling these expenditures, the economic benefits would be immense. For instance, Greece already graduates more doctors per capita than any other EU nation. Likewise, by strengthening R&D, Greece would attract foreign universities (especially American) to establish foreign-based campuses-research centers and multinational corporations to set-up research facilities. Using its economic footprint in the Balkan region and the Mediterranean, Greece can finally translate its strong relationships with Middle Eastern nations, such as Israel and Egypt, into economic value especially regarding oil and gas (East-Med pipeline). More importantly, Greece can use its strong relationship with the U.S. and Israel to attract much needed investment (especially in R&D). Therefore, if Greek foreign policy is leveraged properly, and Greece makes the right reforms at home, it will be able to turn its influence into value for itself and its partners. However, for this to even occur, Greece must continue to pursue a clear-cut foreign policy that will signal to its allies a sense of stability, and at the same time, lay the groundwork for Greece to benefit from its foreign policy decisions. Adonis Caramintzos, is a Junior at Hunter College, CUNY in New York City double majoring in Economics and Political Science and minoring in Public Policy. He hopes to continue in his studies and eventually pursue a career in international economic issues and law. Adonis participated in the tenth annual American Hellenic Institute Foundation Foreign Policy Student Trip to Greece and Cyprus. Despite going to Greece every summer as a child, I was ignorant for most of my life about the shared history between Greece and the United States as well as the nature of diplomatic relations between these two nations. It was all too easy for me to go to Greece and only see a vacation spot or somewhere to be with my family. I had a similarly narrow view about foreign policy itself, believing that an exclusive, elite group of individuals guides the fate of nations. During my participation in the tenth annual AHIF foreign policy trip, I realized that every Greek-American has a role to play within the broader context of relations between these two respective countries. First and foremost, this trip made me realize that positive change is a result of constant hard work and the reaffirmation of values. The global status quo does not change overnight; rather, it is something constantly negotiated and argued over. More surprising than this was the revelation of what constitutes “foreign policy.” Throughout the course of the trip, we met with politicians, journalists, businessmen, military personnel, and more, all of whom play an instrumental part in maintaining the special relationship between Greece and the United States. Moreover, even the most accomplished individuals within this group looked to us, a mere group of students, for our opinions, making us believe in our ability to make a difference. Today, global politics is in flux. The United States is currently in the process of re-evaluating its priorities abroad, and part of that self-examination involves re-evaluating existing partnerships. Recently, President Trump expressed his dismay toward many members of NATO, believing they were not doing enough financially to merit the amount of money the United States spends on NATO defense. Greece has never had this problem, having always met or exceeded the proposed 2% of GDP minimum standard recommended for defense spending. In Souda Bay, Crete, we learned the full potential for defensive cooperation between Greece and other nations, as we toured a huge military base that is one of the most valuable NATO assets in the region. After learning the nuances of elite soldier training, we visited NAMFI, a missile testing ground. The constant in all our briefings was the extent of international cooperation, manifested particularly in the fact that several countries, including the United States, have a permanent presence on the base and assist in many of its daily operations. However, it wasn’t until we boarded a small boat and surveyed the landscape surrounding the base that I got some time to think about what everything that I had seen so far on the trip meant in a larger context. As the boat picked-up speed, and we glided alongside the coast of Crete, the tour of Souda Bay began to take on greater symbolic significance. We cut through the azure water, admiring the cliffs and trees that loomed above us. In the distance were the remains of ancient fortresses, still standing after hundreds of years. A few minutes later, we stopped to admire a huge resort on the water, populated with brightly colored buildings and yachts. Seeing all of this within such close proximity to one of Greece’s most important military bases reminded me just how much Greece has to offer to other countries. Tourism, history, natural beauty, and an impressive naval base, all within a few hundred feet of one another. Greece has already proven to be a valuable ally to the United States, but in my opinion, the true potential of the bilateral relations between our two countries has yet to be fully realized. In the case of Souda Bay, signs of change are apparent. More American aircraft carriers are docking there, and recently, Air Force One touched down at the base to refuel on its way to Singapore. These developments are encouraging, but they are not enough. The truth is that even many Greek-Americans may not even be aware of Greece’s Souda Bay facilities. I became increasingly aware that not including a knowledge of Greece and Cyprus’ political exigencies, ranging from FYROM to the Cyprus issue and beyond, into a working definition of Hellenism is a deeper systemic issue in the Greek-American community It is a problem that I contributed to until recently. Moving forward, Greek-Americans should do whatever possible to contribute to the motherland. When I think to myself about my newfound knowledge and insights about Greece, I find it hard to believe that I knew so little for so long. By promoting an increased awareness of issues contained within Greece’s political and social matrix, in addition to further facilitating communication between our two countries, Greek-Americans not only promote Hellenism abroad but are essential actors in its preservation. I greatly appreciate the fact this trip has given me not only a better understanding of Greek foreign policy but also the motivation to become a leader in my own community moving forward. George Evangeloulis, a Dean’s List student, National Merit Scholar, and Presidential Scholarship Recipient at the University of Southern California, is a rising junior studying Communication and pursuing a minor in Marketing. He was also selected as an Annenberg Ambassador, representing the School of Communication and Journalism at events, panel discussions, recruitment activities, and visitor tours. He participated in the tenth annual AHIF Foreign Policy College Student Trip to Greece and Cyprus sponsored by the American Hellenic Institute Foundation. In the first semester of my graduate studies, I took a course called, “Introduction to Conflict Resolution.” I spent countless hours writing about the Cyprus conflict as my focus for the course. At the time I could have never imagined that come June I would be standing in the “buffer zone” between the free Republic of Cyprus and the Turkish occupied territory. How exactly did I go from studying about the conflict to standing right in the middle of it? After working as an intern for the American Hellenic Institute for a year, I was presented the opportunity to attend AHI’s annual foreign policy trip to Greece and Cyprus. The truth is that I did not know what exactly I was getting myself into. I had developed an interest in the Cyprus conflict and knew that it would be a unique opportunity to add first-hand experience of the conflict to my studies. Having never been to Cyprus before, I jumped at the chance to get to visit a new country and to have it considered as an educational trip. I can say with complete confidence that after writing multiple, 10-plus page papers on the conflict I knew about a quarter of what I ended up learning on the trip. The Cyprus conflict is an ongoing issue in the international community. It has been dubbed by many as “frozen;” however, it is very much still relevant for the Cypriots. Their daily routine is affected consistently by the conflict. The issue includes several factors, before the trip, I attributed most of the problems associated with the conflict to the geographical boundary caused by the illegal occupation of Cyprus by Turkey. After the trip, I have a better understanding of the complexity of the conflict on Cyprus’ geography, politics, civil society, and economy. Every couple of months new issues come up in the news, such as Turkey’s objection to Cyprus’ rights to a continental shelf and the economic exploration of its maritime borders. Yet, the international community does not attempt to take further action against the illegal occupation. As a European Union and United Nations member, Cyprus has a certain set of rules and standards that the international community should support. On a daily basis these rules are being violated. Its airspace, maritime borders, and at times even the buffer zone is violated through provocative actions. Within the free area of Cyprus this creates constant fear and insecurity. The European Union has not acted against the illegal occupation of EU territory. Instead, the EU has provided incentives to the citizens living under Turkish army control. Indigenous Turkish Cypriots in the occupied area are entitled to Cypriot citizenship, EU citizenship, and Turkish citizenship. In addition, since 2006 over EUR 450 million has been allocated for EU Aid Program for the Turkish Cypriot community to foster cooperation and facilitate reunification of Cyprus. The hope for cooperation is unwarranted. From my experience, the issue is a lack of pressure by the international community. A change of the situation in occupied Cyprus is unlikely to occur unless there is increased pressure by outside actors and a threat that current “incentives” will be lost. It was a surreal experience to stand in the “buffer zone,” between the free Republic of Cyprus and the Turkish-occupied territory. It was unsettling to be in between the regions of conflict, especially after learning about the issues and understanding the complexity of the situation from experts of the conflict and Cypriot and U.S. government officials. In the “buffer zone,” there is the old Nicosia Airport, which was attacked in 1974. We got to see the airport, and I get goosebumps thinking back on it now. The landscape is very desert-like and the airport is abandoned like a ghost town. Knowing that so many civilians and soldiers died in the attacks and that 44 years later the conflict is unsolved, it highlights why the conflict is clouded by such intense tension today. As a promoter of solving the conflict, you feel like a target for the Turkish army controlling the occupied area. The army is not in favor of a solution that would jeopardize its control. While the conflict has not seen violence for decades, the possibility of violence is extremely relevant. The United Nations Peacekeeping Force in Cyprus (UNFICYP) is the main, if not the only, factor for peace within the region. The current U.S. administration is considering a decrease, or even removing, the funding for the UNFICYP. This would be a detrimental mistake. Peace in the region is dependent on the UN forces, which was made clear to me through the firsthand experience of visiting with the UN peacekeepers. Marina Kiotsekoglou earned her Bachelor of Arts after three years at The Pennsylvania State University, where she majored in International Political Economy. She is currently studying at the George Washington’s Elliott School of International Affairs, where she is an MA candidate in International Affairs. Her two concentration fields are International Law and Organizations and Conflict Resolution. Her expected graduation date is May 2019. Marina participated in the tenth anniversary of the AHIF Foreign Policy College Student Trip to Greece and Cyprus sponsored by the American Hellenic Institute Foundation. As the warm sun shines on my face and the salty water of the Mediterranean glides around my feet, I should feel relaxation and bliss. Instead, I feel anxiety, and an unsettling need to be aware of everything that is going on around me. It is July 2018, and I am on a beach in Famagusta (Ammochostos, in Greek), a ghost city in the Turkish occupied zone in Cyprus. Famagusta has all the trappings of a proper Mediterranean beach scene. That is, until you turn from the strikingly blue water and around towards the city—or what’s left of it. Behind a few eerily empty beach bars is a stretch of taller, older buildings, all of which are bombed out. The bombed-out buildings—shells of what they once were prior to the 1974 Turkish invasion and occupation—stand as a physical reminder of what once was, and what is now. I turn to look at the guard tower fixed immediately behind the sand dunes connecting beach to road. Squinting, I see the figure of a Turkish occupation soldier and the unmistakable outline of his submachine gun. This unsettling juxtaposition of settings and circumstances is a perfect microcosm of the way in which Turkey operates on the global stage. Underneath an inviting exterior lies a dangerous reality, ready to explode at any moment. My experience on the beach in the Turkish-occupied zone in Cyprus is only one of the many things I learned from the American Hellenic Institute’s Foreign Policy Trip. I took away similar lessons in the U.S., Greece, and elsewhere in Cyprus, but this example was perhaps the most disquieting exposition of the vast disconnect between perception and reality; between the possibilities that a strategic relationship with Greece and Cyprus promise and the stifled roles they are given; and between the polished image Turkey displays on the global stage and the true actions of the Turkish government. I have come away from the trip with the strong conviction that, in politics and media, perception and reality can be at variance with one another. With this, I know that perception must be reshaped. Most importantly, I realized that my disappointment should not only be limited to Turkey or Turkish politicians. At the July 16th Russia-U.S. Summit in Helsinki, President Donald Trump showed his support for increasingly authoritarian President Recep Tayyip Erdogan by fist bumping him and saying that he “does things the right way.” In the days following the summit, the media was almost entirely occupied by a flurry of Trump- and Putin-induced hysteria. In stark contrast, on July 20, there was virtually no recognition to mark the 44th year of Turkey’s invasion and continued occupation of Cyprus in mainstream American media. This communicated to me that the world perceives Greece and Cyprus as peripheral countries that are not worth advocating for or protecting. As both a Greek-American and Cypriot-American, I have always been aware of the assets that Greece and Cyprus have to offer, but this trip helped me to solidify certain ideas, particularly about Greece and Cyprus’ role as pillars of stability in an unstable region, and about their unquestionable importance in the Mediterranean. Geopolitically, Turkey undeniably occupies a highly strategic location, but Greece and Cyprus hold nearly identical strategic positions. Greece is a crossroads between Europe, the Balkans, the Middle East, and North Africa. It is a country situated at an essential point of the Mediterranean Sea that connects East to West. Cyprus provides an even closer window to the Middle East and North Africa, with almost immediate air and naval access to Israel, Syria, Egypt, and other countries in the region. Given these immense geographic advantages, it is foolish to overlook Greece and Cyprus’ vital geostrategic importance. On the political and legal front, Greece and Cyprus are democratic, rule of law states that generously contribute to the European and global community. Something I was not aware of before embarking on this trip was that Greece is one of the few NATO members to meet NATO’s defense spending standard and, after the United States, is the country which spends the second-largest percentage of its GDP on defense. Greece and Cyprus abide by international law and human rights norms and have shown compassion to refugees and migrants. Turkey, on the other hand, routinely violates international law, infringes upon other states’ sovereignty, ignores human rights standards, funds Islamic terrorism, ethnically cleanses the indigenous Kurdish population within its own borders, and occupies the territory of a sovereign nation and EU member state—Cyprus. Despite these realities, Greece and Cyprus continue to be undervalued by the United States and much of the international community while Turkey, which continually violates international law, continues to be appeased. I walk away from my experiences in Washington, D.C., Cyprus, and Greece both frustrated and determined. I am frustrated by the lack of international and U.S. support for Cyprus and Greece, as well as by the United States’ continued alliance with Turkey. I am determined, on the other hand, to do everything I can in the U.S. and abroad to contribute my all to liberating Cyprus and Greece from the injustices and threats they face from Turkey. Sophia Kyrou, a sophomore at Trinity College, is double-majoring in Political Science and Human Rights and minoring in French. A Faculty Honors student and an 1823 Scholar, Sophia was acknowledged by Trinity’s Dean of Student Success as an emerging leader, invited to serve on Trinity’s Scholars Advisory Board and selected for Trinity’s Catalyst Leadership Program and for Venture Trinity. Sophia spent a gap year learning about Middle East geopolitics and Mediterranean migration to Greece, interning at Harvard Kennedy School’s Middle East Initiative and the GOARCH UN Office. She participated in the tenth annual American Hellenic Institute Foundation Foreign Policy Student Trip to Greece and Cyprus. The truth is Cyprus–while plagued with a 44-year-and-counting struggle for unity, the ceaseless threat of Turkish military violence, and is geographically surrounded by unstable and war-torn nations–manages to be one of the most resolute countries in the region. The AHIF Foreign Policy College Student Trip to Greece and Cyprus afforded me the opportunity to see Cyprus in a way that I otherwise never could have. The majority of the students on this trip have only known Greece and Cyprus as vacation spots where our relatives live, and where we go during the summers to escape our lives in America. Sometimes we’d even say, “when I’m older, I’m leaving America and moving to Greece or Cyprus.” Having had nothing but good, stress-free experiences in these countries, that’s what they became for us. So, you can imagine how alarmed I was at my feelings of heartbreak, frustration, and discouragement as I learned about Cyprus’s political, religious, and militaristic challenges–the most daunting and defeating of these being the 44-year Turkish occupation of the northern portion of the island. There is no denying that within the region and in the world, Turkey is a powerful nation –in size, in geostrategic location, and in militaristic force. However, it is also an aggressive nation. Turkey provokes surrounding nations constantly, which has the United States caught between a rock and a hard place. Very few countries have the capacity to play a role in confronting Turkey, and the ones that do find that friendly-terms take precedence. As a member of the European Union, Cyprus still finds itself on the defense when it comes to Turkish hostility –and the people are reminded of it every night when the gigantic Turkish and pseudo “TRNC” flags are lit up on the Kyrenia Mountains. While this is one of the ways the Turks don’t let the Cypriots forget about the 1974 invasion, the current religious contrast is too stark to go unnoticed. I learned it never used to be that way. During the years before the 1974 invasion, the Greek-Cypriots and Turkish-Cypriots would practice their religions peacefully: the Orthodox Christians would go to church, the Muslims would go to mosque, and it was respected by everyone. When we entered the occupied area of Cyprus, we were met immediately with gigantic, stunning mosques peppered all over the area –and also, forgotten and abandoned Orthodox churches. As we approached one, the students and I instinctively made the sign of the cross on our chests, only to enter and find that the church was completely desecrated inside: stripped of its iconography and replaced with graffiti, destroyed walls, and a baron altar. Just outside the church were two different cemeteries. There was one for Turks and Turkish-Cypriots, which was maintained and preserved. Next to it was an older cemetery for Greek-Cypriots with bits and pieces of destroyed tombstone scattered around overgrown weeds. I suddenly felt hot tears welling in my eyes. If there’s one thing that I knew was sacred, it was someone’s final resting place. Even that could be taken away. Continuing further through the occupied area into Famagusta, we drove by a fenced area that stretched for miles, covered with barbed wire and red signs that pictured soldiers holding riffles and Turkish writing warning people of nearby militia. Just behind it stood the abandoned southern quarter of Varosha. What was once the modern tourist area of the city had now been for 44 years the unmistakable mark of violence and invasion against the Cypriots and left completely frozen in time. The Turkish invasion of 1974, religious strife, and the capturing of Varosha are all things that I read about, did research on, and even heard firsthand accounts from those who experienced Cyprus during some of its darkest years. However, nothing could have given me a more powerful and overwhelming sense of reality than going to these places, standing on the ground where the stories I heard growing up took place and trying to picture the horrors of that time. Still, after everything, this island in the Eastern Mediterranean has endured, it perseveres through every challenge it faces. Cyprus remains a steadfast beacon of stability and democracy. It will for years to come. Maria Nifakos, a Dean’s List student and senior at Emerson College in Boston, Massachusetts, is majoring in Journalism and double-minoring in Sociology and Political Science. Maria is involved extensively with Emerson journalism organizations such as her college radio and television stations, where she’s written and reported on the 2015 Paris attacks and the 2016 Brussels bombings. Maria has worked alongside reporters and journalists at one of Boston’s most renowned newspapers, the Boston Herald. Upon finishing her undergrad, Maria plans on pursuing a master’s degree and joining the United States Foreign Service. She participated in the tenth anniversary of the AHIF Foreign Policy College Student Trip to Greece and Cyprus sponsored by the American Hellenic Institute Foundation. In Sandro Botticelli’s “The Birth of Venus,” Cyprus is defined by the ethereal emergence of Aphrodite into the Olympian family - an image of placid harmony that contrasts the dissonant tension that permeates the same landscape today. Globally, Cyprus is hailed as a crucial geo-strategic partner in the Eastern Mediterranean located at an indispensable crossroads to the volatile Middle East. However, as the former ambassador of Cyprus to the U.S., Andreas Kakouris, explains, the world simply “does not have a finger on the pulse” regarding the island’s tragic reality. The shiny, gray-stoned streets of Nicosia were quiet - a kind of quiet that, to those unaware, could be mistaken for peace. Admittedly, it was, dare I say, fairly easy to forget momentarily the atrocities committed on these same streets some forty-four years ago. Families with young children promenaded past a familiar McDonald’s and diners situated in outdoor tavernas could be heard raising cheers to their continued good health. It was not until the sounding of a minaret reverberated through the late-afternoon air that I was jolted back to reality; this capital, this country, is still divided. Check-points positioned along a figurative “Green Line” partition the island in half, accentuating the daunting challenge of reconciling a fractured island. This de facto separation was, and is, the ultimate result of Turkey’s illegal occupation. While policymakers in the highest echelons of government unsuccessfully endeavor for a solution, Cyprus’ nearly half-century-old humanitarian crisis seems to become increasingly shrouded behind political machinations. Precisely 1,510 Greek-Cypriots and Greek nationals, and 492 Turkish-Cypriots were declared missing following Turkey’s 1974 invasion. Over 50% of those 2,002, mostly civilians, are still missing and unaccounted. To put these numbers into perspective, 1,251 American soldiers, out of America’s general population of over 330 million, are still missing following the Vietnam War. Cyprus, at the time, had a population of only 611,000. Yet, the international dialogue surrounding the potential for a solution seldom includes the discussion of humanitarian issues, such as the remaining missing persons. Organizations such as the Committee on Missing Persons (CMP) understand that truth all too well. Garnering support from the United Nations and the European Union, which annually funnels 2.6 million Euros into the CMP, the bi-communal organization “enables relatives of missing persons to recover the remains of their loved ones, arrange for a proper burial and close a long period of anguish and uncertainty.” However, Mr. Xenophon Kallis, the director of Service for Missing Persons, somberly explains that sometimes you can “only give back a tooth to a family,” sent in a small, wooden box as a sort of makeshift, yet entirely inadequate, casket - that is, if you’re lucky. My skin teemed with goosebumps. I slumped back in my chair, eyes welling with tears as I listened to Mr. Kallis suggest that finding even a semblance of scientific evidence of death or a potential perpetrator is often next to impossible. Additionally, Mr. Kallis offered that Turkey is withholding information regarding the location of final resting places of missing persons in the occupied area. The UN General Assembly dubbed informing families about “the fate of their missing relatives” as a “basic need.” A need that cannot possibly be met with a tooth. I left our meeting shaken, my mind whirling as I reflected upon the countless injustices confined within this modest, partitioned island. As our sobering odyssey through Cyprus continued, we learned of the thousands of people displaced due to Turkey’s illegal invasion and blatant disregard for codified international law. In addition, Turkey’s persistent violations directly oppose the interests of the United States. However, the ineffectual efforts to staunch Erdogan’s irredentist, neo-colonial vision and Turkey’s aggressive actions left me disappointed and in despair. My academic training has taught me how to impart my own insights without subscribing to any specific political ideology. Academia often encourages students to argue points at variance with one’s own viewpoints as a means of mental stimulation. Yet, what is self-evidently true trumps any intellectual exercise. The luxurious, sandy beaches of Famagusta are harshly juxtaposed against dilapidated shells of buildings, guarded by Turkish soldiers with guns as large as me. At night, the flag of the so-called “Turkish Republic of Northern Cyprus (TRNC),” slathered onto the side of the Kyrenia mountains, glistens - a constant and intentionally provocative reminder of the illegal occupation. I was despondent to hear the mild language of U.S. officials describing, or rather, circumventing, the Cyprus problem. Primarily, I was frustrated with an insufficiently nuanced approach to the issue. Often, many conflate neutrality with objectivity: two concepts that are not in any way the same, particularly as it pertains to Cyprus. A neutral perspective on the issue is not an objective one. There is a right and wrong side when it comes to the Cyprus occupation. This is not only reflected in principal international law documents, but also in the international recognition, or lack thereof, of the so-called “TRNC.” Only one country formally recognizes the “TRNC” - Turkey. Though neutral positions are sometimes defensible, to synonymize neutrality with truth and objectivity is harmful. As Ambassador Kakouris eloquently explains, “Cyprus is the EU’s lighthouse in the Eastern Mediterranean … Lighthouses have a 360-degree beam and the occupation stops [Cyprus] from shining that light all around.” While I believe that a solution to the Cyprus problem must stem from the island’s true inhabitants rather than any international mechanism or organization, I also believe that strong language condemning the Turkish government and a holistic understanding of the island’s agony is paramount. Cyprus deserves justice. 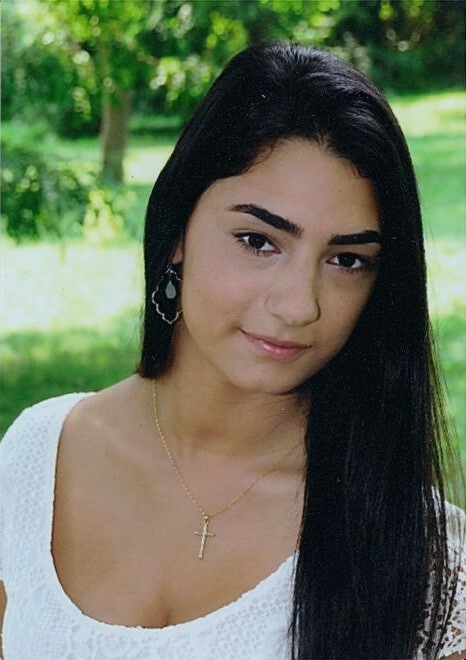 Alexis Tsapralis is a junior Dean’s List student at Barnard College of Columbia University where she studies Political Science and International Relations. 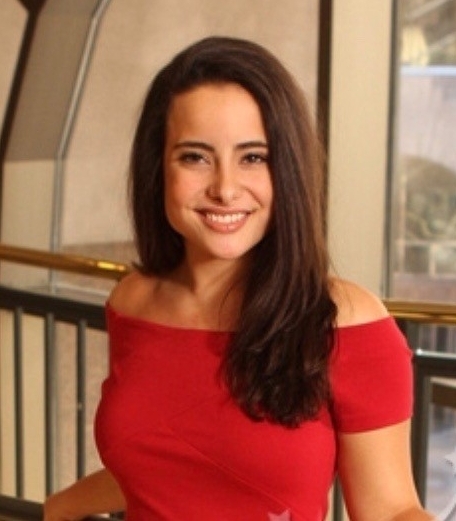 She recently interned at the Consulate General of Greece in New York City before returning as an intern at the American Hellenic Institute in Washington, D.C. She now interns at the Council on Foreign Relations. Alexis participated in the tenth annual AHIF Foreign Policy College Student Trip to Greece and Cyprus sponsored by the American Hellenic Institute Foundation. The aftermath of the 1974 Turkish invasion of the Republic of Cyprus, still unresolved after four decades, has proven to be one of the longest unsolved international disputes to date. The Turkish government forced thousands to evacuate their homes. The search for over 1,100 missing Cypriots still missing continues in a country that only houses 1.17 million citizens. By contrast, America, which has a population of 330 million, has 1,251 American soldiers missing in action (MIA) from the Vietnam War. Today, Turkey occupies 37% of the island with 40,000 Turkish troops. Despite this fact Cyprus has grown to become a beacon of stability in one of the most volatile regions of the world; only a small body of water separates it from Syria, Israel, and Lebanon. Cyprus has strived to form synergies with its neighbors in the Arab World in addition to allies in Europe. The Republic, a member of the European Union and Eurozone, recently has held summits with Israel, Egypt, Jordan, and Lebanon. With this unique and important position, Cyprus has served as a bridge of communication between Europe and the Middle East. Nevertheless, there has been a lack of substantive international pressure on Turkey to withdraw from Cyprus and demilitarize the island. The most impactful moment I had during my trip to Cyprus was when we visited the occupied region. We had been told that you cannot fully understand the issue until you see it for yourself. I found that statement to be true. One of the most visible developments in the occupied area has been the proliferation of contemporary mosques. They were clearly the most grandiose buildings in the region and were marked by tall flag poles which flew the Turkish and “Turkish Cypriot” flags. It is important to note that the Cypriots were always a very secular people on both ends. Greek and Turkish communities have traditionally coexisted in relative peace. Nowadays, magnificent mosques are often juxtaposed to desecrated Orthodox Churches in the occupied region. Most of the roughly five-hundred Orthodox Churches in the Turkish Cypriot side have been looted and destroyed since the invasion over forty years ago. One of the most disheartening moments of the trip was visiting a ransacked church that resembled an empty shell more than a house of worship. Vile graffiti covered the walls, every window was shattered, and birds flew about the interior of the dome. Near the church were two adjacent cemeteries; one Orthodox and the other Islamic. Every single tombstone of the Orthodox cemetery was ravaged Crosses were split in half and scattered between each burial place. The adjacent Islamic cemetery was in pristine condition. I had never seen such explicit contempt for another person’s faith. I was also left in shock after visiting the abandoned city of Famagusta. Before the invasion of 1974, the city was one of the world’s most popular touristic hotspots and developed places on the entire island. Today, scores of multi-story buildings are abandoned and enclosed by a tall fence with barbed wire. Only Turkish soldiers are allowed inside the city. At the time of the invasion, my grandfather was stationed in Cyprus as a soldier of the Greek Army. My mother, her sister, and grandmother were staying in Famagusta and endured three days of the conflict before being evacuated. It was surreal to see myself at the place where my mother hid in a hotel basement for days while Turkish planes repeatedly bombed the city at night. Walking on the beach of the city stirred up a feeling of irony in me. Children were laughing and playing in the sand while right behind them Turkish machine guns oversaw a beach right next to a bombarded city frozen in time. If Turkey’s stranglehold in Cyprus’ northern region endures, the occupied area will continue to drift from the rest of the Republic of Cyprus. This is an outcome Turkey desires, as shown by the mass influxes of illegal settlers into the occupied area. Despite the divide, we can hope that a solution will be reached on day and Cyprus will be reunified for the sake of its own people. 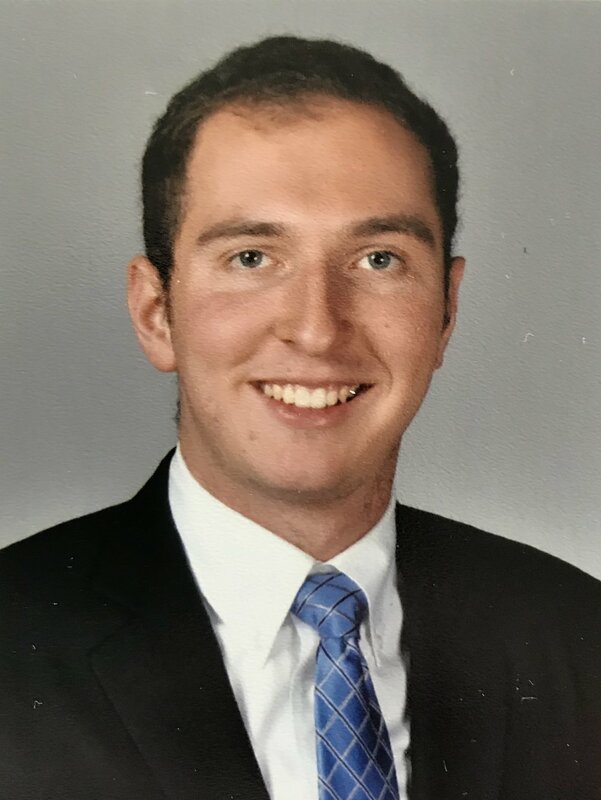 Alexander Velis is a sophomore at the University of Illinois at Urbana-Champaign’s Gies College of Business studying Finance and International Business. On campus, he is an active member of the Orthodox Christian Fellowship, Hellenic American Student Organization, and Professional Business Fraternity Phi Chi Theta. He also co-hosts Take It Away, a weekly radio talk show on WPGU 107.1 FM. He participated in the tenth annual American Hellenic Institute Foundation Foreign Policy Student Trip to Greece and Cyprus. As the trip began in Washington, D.C., I gained a basic understanding of the issues we were about to delve into for the next two weeks. After meeting with several members of the United States Department of State, the respective ambassadors of Greece and Cyprus to the United States, and several other high-ranking officials, I slowly began to realize American support for Greece and Cyprus plays an important role in the peace and stability in the region. Upon our delegation’s arrival in Cyprus, we feasted at a restaurant in downtown Nicosia. The table at which we dined was a mere 100 feet from the Green Line, a delineation which illegally divides Cyprus. From our table, we could clearly hear the Muslim evening call to prayer and could see several armed guards, and Turkish flags flying in the background. The next morning, we traveled through the United Nations Buffer Zone into the occupied area. Upon our entry, we were greeted by two massive Turkish flags painted on the Kyrenia mountains, visible for miles around. This aroused a range of emotions in me, most notably a seething anger. This insulting gesture is a constant reminder of the violent invasion of 1974, the catalyst for a tragic reality in which thousands of innocent persons are still missing after forty-four years. Driving through the occupied area, we were surrounded by examples of the atrocious behavior of Turkish troops. This was most epitomized by the desecration of Orthodox churches and Christian cemeteries, horrors which we were able to bear witness to in person. The intensity of inhumanity and sacrilege displayed is difficult to comprehend in a textbook. Rather, it is a visceral understanding that can only be obtained by seeing these vile acts for oneself. My sense of existential angst was further accentuated when seeing Varosha, an abandoned and fenced-in section of Famagusta—a ghost city in which hundreds of premier beachside hotels, restaurants, schools, homes lay abandoned and under guard of the Turkish army. Throughout our time in Cyprus, we discussed several other matters, including economic opportunity and geostrategic importance. More than 1.6 billion barrels of crude oil are housed in the waters in Cyprus’ Exclusive Economic Zone and are set to be drilled by the American firm ExxonMobil, among many other multinational oil and gas firms. Geographically, Cyprus is less than 250 miles from the Middle East and the coast of North Africa, making it a valuable military asset to the United States and its allies. After a week in Cyprus, our delegation arrived in Greece, recently referred to as the “pillar of stability in an unstable corner of the world.” This portion of our trip focused on Greece’s defense capabilities, as well as its constant threat of imminent attack from Turkey. Our delegation met with high level defense officers, including generals, admirals, and the Commander-in-Chief of the Hellenic Armed Forces, Admiral Evangelos Apostolakis. In addition, we were shown some of the most crucial air and naval bases in Europe. Greece houses NSA Souda Bay, which is located in Crete. It is one of the only ports in the world capable of servicing an aircraft carrier and secure enough that President Donald J. Trump stopped there to refuel en route to meet with North Korean leader Kim Jong Un. The island also houses NAMFI—the premier missile testing site for NATO. Recently, President Trump called out several NATO allies for not spending at least two percent of their GDP on defense. Greece, however, does not fall into this category, spending more than 2.37% of its GDP on defense. Another focus was the importance of Greek shipping to the world’s economy, as well as the booming tourist haven that Greece provides. Greek shipping companies account for eighteen percent of all world commerce and would cause a major economic crisis should they be incapable of operating. In regard to tourism, Greece accommodates more than 30 million tourists per year, and it is increasing steadily. In conclusion, Americans must realize the importance of Greece and Cyprus, not only for the interests of the United States, but for the greater good of the world. The United States must support Cyprus’ cries for freedom and Greece’s hopes for improvement and advancement. As students who saw the potential of these two beautiful nations firsthand, we must educate and familiarize our friends and family on the issues, in addition to lobbying our U.S. representatives, senators, and other government officials to enact needed change. Michael Zoumadakis graduated in May of 2018 from the University of Utah with degrees in Business Administration and Political Science. He is currently working in pharmaceuticals as he explores his options for postgraduate studies. Michael participated in the tenth annual American Hellenic Institute Foundation Foreign Policy Student Trip to Greece and Cyprus.